Fears over a possible U.S. military strike against Syria spooked investors Tuesday. The Dow Jones Industrial Average and the S&P 500 fell more than 1% while the Nasdaq dropped more than 2%. The sell-off accelerated as the day progressed and the markets finished near their lows of the day. Global markets also closed lower. Investors moved into assets deemed "safe," pushing up the prices of gold and U.S. and German government bonds. Oil prices also surged 3%. Still, the drop in stocks came during a light day of trading in the late August doldrums. Major U.S. indexes remain up between 13% and 19% in 2013. Investors have reason to worry about the stability of the Middle East. They have become increasingly concerned that the U.S. and its allies are preparing for military action against Syria. Secretary of State John Kerry said Monday that evidence "strongly indicates" chemical weapons were used in Syria. Related: Military strikes likely response? Russ Koesterich, chief investment strategist for BlackRock, called the Middle East one of the most overlooked risks for investors. If issues escalate throughout the region and push oil prices significantly higher, the already fragile economic recovery could be compromised. Home prices keep rising: Syria was dominating the headlines. But U.S. investors got more good news about the housing market. Prices for homes in the nation's 20 largest cities in June rose 12.1% over the last year. That was down slightly from the previous month, but still shows that housing continues to rebound. 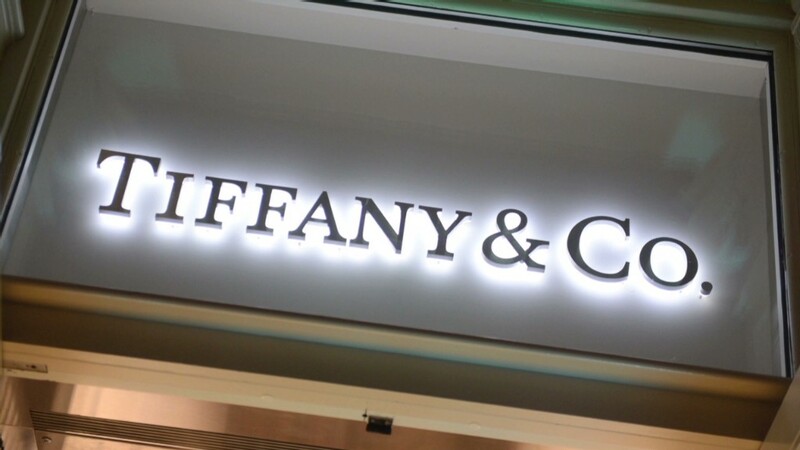 Retail rout: Shares of jewelry retailer Tiffany & Co (TIF) initially rose on better-than-expected quarterly results, but then closed lower as investors worried about slowing U.S. sales. Tiffany at all-time high. Thanks, China! Traders on StockTwits were confused as to the trajectory. AskSlim: $TIF good earnings and guidance. But it gives a top warning- I'm short here. Shares of electronics retailer Best Buy (BBY) fell after its founder Richard Schulze announced that he would begin selling his stake in the retailer in October. Schulze attempted to take Best Buy private last year but was rebuffed by the board. Still as traders on StockTwits noted, it's been a big winner this year, surging nearly 200% year-to-date. Even with Tuesday's slide, the stock was trading around $35 -- not far from its 52-week high. candiswave: $BBY She looks like she wants 40's soon. Is the Ackman exodus a good thing? Shares in struggling department store operator J.C. Penney (JCP) were up more than 3% at one point Tuesday following the news that activist shareholder Bill Ackman sold his entire stake of more than 39 million shares. But as the day progressed, shares of the retailer dipped with the rest of the market. Traders on StockTwits at first though Ackman's exit was a good thing. And one joked about the other investment that has hurt Ackman this year: his bearish bet on nutritional supplement company Herbalife (HLF). That stock has nearly doubled this year. MeanMrMustard: $JCP You knew this bounce was coming after Ackman couldn't bring it down. No more Facebook Forty: Facebook (FB) has been surging lately due to optimism about growth in mobile users and advertising. But the social media company's stock dropped 4% Tuesday. 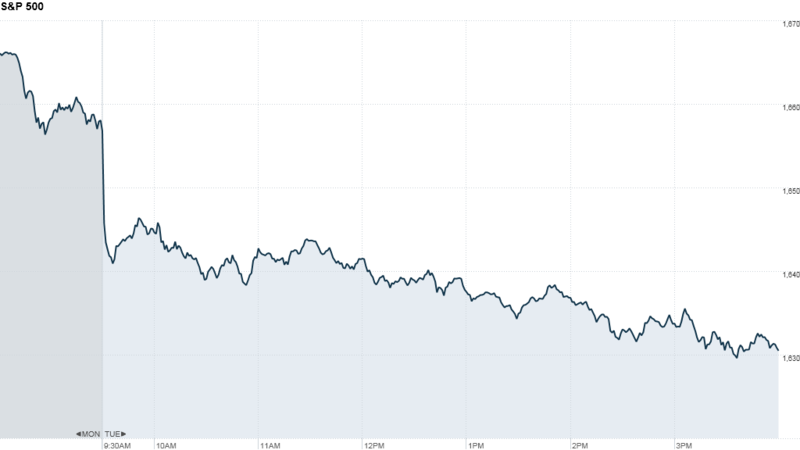 Facebook closed below $40 -- a recent milestone. Facebook hit that price on its first day of trading and hadn't been back there until late last week.